Physical stores are not dead. 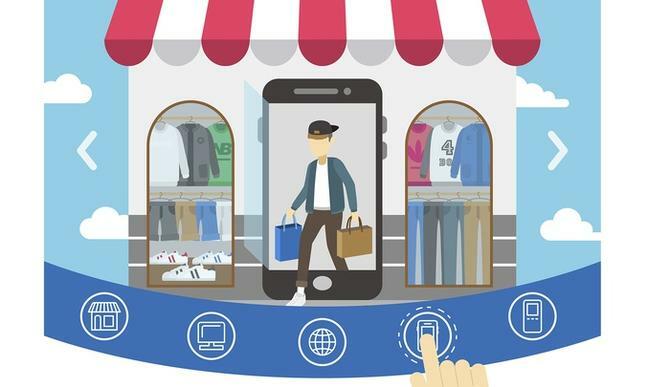 Nor is about either physical or digital stores, but how you seamlessly combine the two and deliver on customer experience, Accentr Group's chief digital officer, Mark Teperson, claims. Unlike other traditional retailers, Accent, which wholesales brands such as The Athlete’s Foot, Platypus, HypeDC, Skechers, Vans, Timberland, Merrell, Sperry, Saucony, and CAT, is opening more physical stores, not closing them down. This, combined with digital innovation, has seen the company thrive in a period of uncertainty. It was six years ago that the board sponsored the idea of investing behind digital for the future, to complement what the group had been investing in stores, Teperson said. It was no easy feat, with legacy systems and constant changes to consumer trends, but Accent worked hard at creating the right foundation so they could live up to consumer expectations at scale. The entire strategy came down to something simple: Listening to customers. “We do a lot of consumer research in market, we sought to understand what customers wanted from us as we started to unlock more digital experience," Teperson continued. “The surprise for us was uncovering just how many customers wanted to do click and collect from a store. It’s difficult to understand why a customer wanted that – surely if you buy something online you want to deliver it to your house, it seemed counterintuitive. From this customer insight grew another digital experience – ship from store. “We realised, why not open that inventory in stores up to consumers, inventory which we may not have in our warehouse. Ship from store ended up being 30-50 per cent of our total digital sales very quickly; we basically doubled our online sales overnight, and we did it without buying a single new piece of inventory, we just used what we already had," Teperson said. “We started thinking about our stores not only as experience centres for customers, but as distribution centres for product. We’ve taken an established, fixed asset everyone thought could only serve a single purpose, and used it to serve customers everywhere." That has unlocked $110 million in inventory and 447 distribution points across Australia, and radically improved through-put. This, in turn, had a transformative impact on the business, and the way Accent thought about digital, and how it pivots with changes in consumer preferences. It also inspired the launch of same day delivery, and continued investment in content – the next competitive frontier, and data – the next major currency. “We continue to invest in digital experiences, communication, and we use data to create segments and experiences-that’s where our huge focus is now," Teperson explained. "We are trying to codify our data so we can use it and deliver great experiences. Of course, not all data is useful. It’s easy to get swept up in capturing everything, but you must as what you can do with it to create a better experience. To achieve this, Accent in vested in a division within the company called The Agency. This saw graphic design and photography spun out into a disruptor, and complemented by videography, motion graphics and copy writing. This completes the suite of content creators the business requires to scale with the marketing technology platforms. As for the future, Teperson said there are two things keeping him awake at night: The competitor that doesn’t exist today, and what the customer wants tomorrow. “We spend a lot of time understanding demographics, consumer behaviours and listening to our customers so we can better predict what that looks like,” he said. “Agility is important. We still have some way to go, but it’s about listening. Follow the customer and you’ll never have to look for growth. It’s simple, don’t overcomplicate it. Check in and listen to customers, they’ll tell you want they want and all you need to do is deliver really well on it.